It’s been just over a week since I started swatching my Aidez cardigan as part of the #fringeandfriendsknitalong, and I’ve worked my way through one repeat of the trellis pattern on the back piece; about 10”. I’m knitting for Team Seam and will be knitting the pattern as written; in pieces and seaming later. I always think that I prefer seamless sweaters because I dread seaming, but in all honesty this will be my first seamed sweater so it’s really too soon to tell. I decided to work this one with seams because I like the idea of seams helping a heavily cabled garment keep its structure, and I also didn’t feel like converting the pattern to seamless! I think that working smaller pieces will show progress more quickly and encourage me to keep on knitting. I’ve found myself putting my knitting down every few rows to admire the way a few cable crosses change the look of the whole piece. 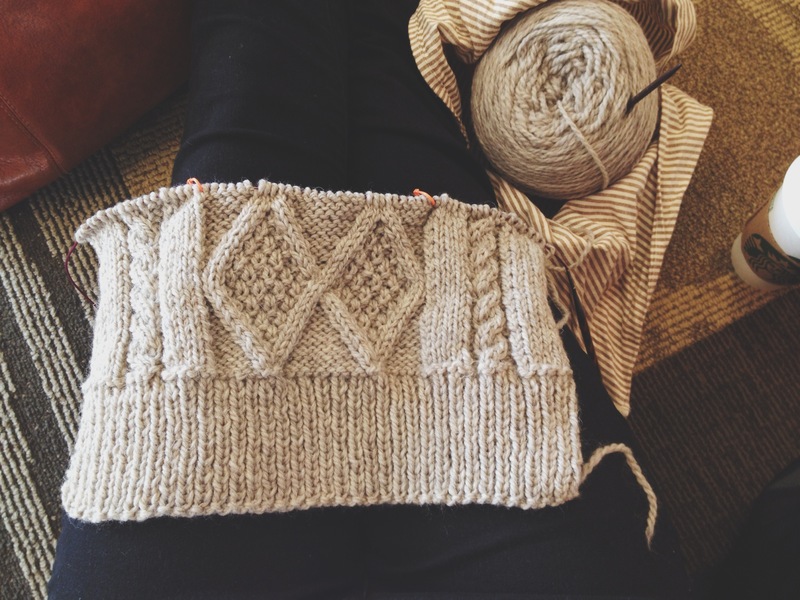 Did I mention I LOVE cabled knits? That’s great progress! I like the design inside the diamonds.